This weekend’s intense AFL action includes a number of exciting line-ups, and punters and fans will be keen to get their slice of the pie. 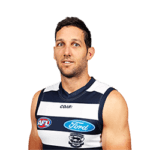 The Cats are one of the highest scoring teams in the league but they have not had a great record against Sydney, even on their home ground where the match is taking place. Sydney should be able to keep it together and come out on top. With both teams clamouring for ladder position, this will be one to watch. 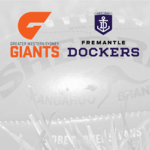 Both sides are missing their usual strong forwards but the Giants are coming off an edge of the seat win against Fremantle and have a great record at the Canberra stadium. The Giants should walk away with the win. With a 6 game loss record, including a punishing 65 point defeat by Geelong, Carlton’s chances are not looking good. With their scoring record, Essendon have what it takes to win this match. The Bulldogs’ turn around in the season so far has made them the favourites in this matchup, but the Lions are far from down. They are just outside the top 8 in rankings and they could surprise the Bulldogs. Collingwood is still without Scott Pendlebury but the side has definitely made a late tournament comeback and have a good shot against Melbourne this weekend. The Kangaroo’s best shot is making good use of forward Ben Brown. A very close match to call, Fremantle has the advantage by a narrow margin on paper. Gold Coast could however use the strength of their forwards to claim this victory. Another tight match, the advantage may be on St Kildas’ side here. The team are saying farewell to Nick Riewoldt this season and this may be the side’s last chance to take him to the finals. They will need to focus however and stay in the game as they have lost their last 8 encounters against The Eagles. The Hawks must win their next 4 games to have a shot at the finals. They are coming up against a defensive and scoring brick wall in the shape of the Tigers. The Tigers are currently sitting in fourth place and look set to keep their top spot little while longer. This match sees the score leaders, the Crows, face off against the defensive leaders, Port Adelaide. The Crows have an advantage in their record, but this one may be too close to call.